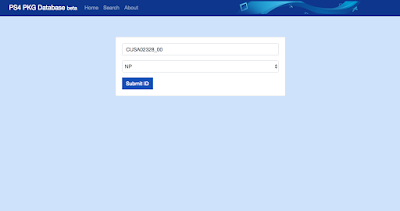 Today developer Octolus has released a new homebrew site named PS4 PKG Database for the Playstation 4. Check out the release notes, changelog and the download link provided below. Allows you to search for game patches with just the title. 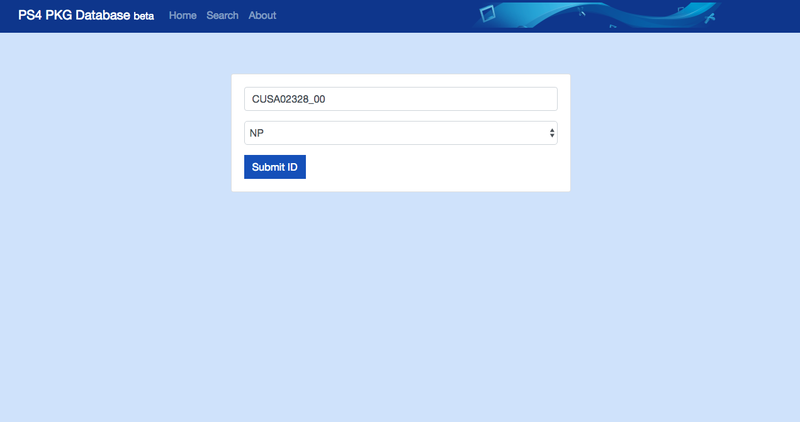 The more users that submit game id's, the bigger the database will be - search wise with content id's etc. This is work in progress, suggestions are welcome.. And of course, bug reports. Over 5,000 ID's stored already, the database is growing rapidly. My next step is to make the search functionality better, so you can search in certain regions. Not entirely sure how to detect regions just yet.